The major structures are manufactured from Meehanite cast iron,stress relieved and combined with scientific rib reinforcement to ensure deformation-free operations. Increased width on the column bottom with box-type structure provides maximum stability especially when performing high speed cutting. Linear ways on three axes assure high feed rates and extremely smooth motion. Extra wide span between linear ways greatly increases machine stability. Choice of 8000, 10000, 12000, or 15000 rpm high speed spindles are designed for high speed machining requirement. High precision class C3 ball screws feature outstanding vibration dampening capability for high precision machining. Extra wide column bottom and base ensure superior stability during high speed machining. Compacted and simplified machine structure for space saving. 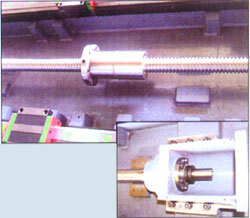 Increased Y-axis travel for increasing working capacity. 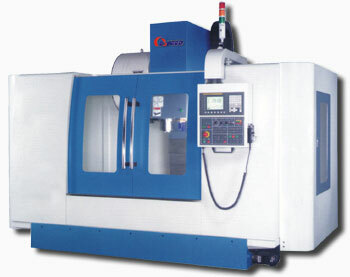 Choice of spindle speeds 8000, 10000 or 12000 rpm. Through ball bar testing the circularity.geometry error and backlash can be acurately obtained allowing the machine to be adjusted to the best possible accuracy. An advanced laser instrument is employed for inspecting and compensating linear accuracy and pitch error. This assures optimum axis travel accuracy. Three axes are transmitted by high precision ball screws preloaded, hardened and ground-assuring dependable feed accuracy. The machine employs 45mm . wide ball-type linear guide ways. 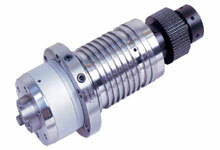 Direct drive spindle 10000,12000,15000 RPM. 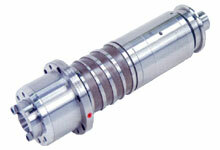 Belt drive spindle 10000 or 12000 RPM. 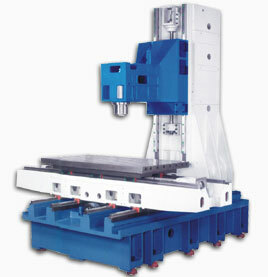 4th axis NC rotary table.